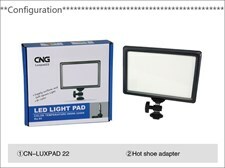 The CN-Luxpad 43 follows the very popular Luxpad 22 with a larger cousin here. 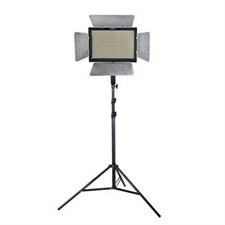 The absence of 'direct LEDs' ensures an ultra soft light effect reminiscent of studio softboxes. 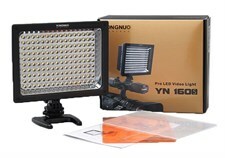 The CN-Luxpad 43 is ideal for photography as well as videography for children, babies, and objects which will excel in soft lighting. 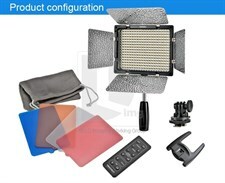 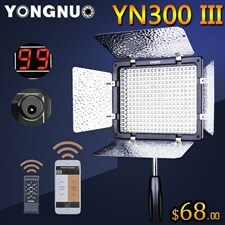 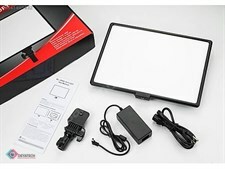 Product Description Color: YN-600 Product Specification: 1,Light Source: 600 LED beads 2,Luminance Angle: 55° 3,Color Temperature of the 5500k Video Light: 5500kLEDs with 5500k color temperature. 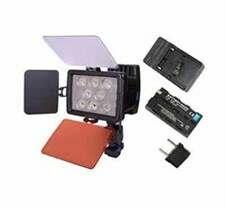 4,Color Rendering Index:»90% 5,Remote Control Distance: less than 8m 6,Power: 36W 7,Weight: 1260g 8,Lumen: 4680LM 9,Size:260*188*40 10,Average Service Life: 50000H 11,Power Source: Two lithium batteries or external 8V and 5A direct current power supply Contents: Camera light x 1 Remote x 1 Handgrip x 1 User Manual x 1 2 x CT filters (White and Orange) Note: Please contact your dealer if anything is missing.